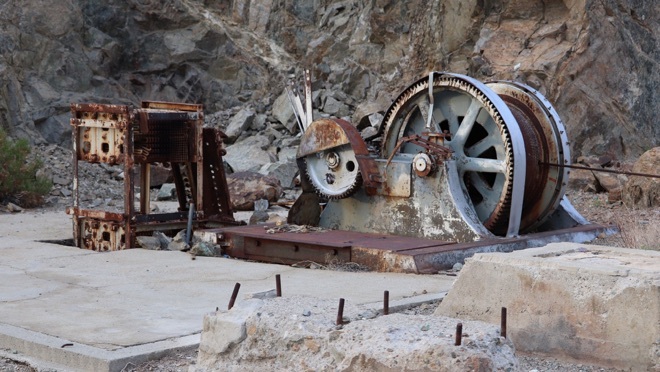 The Nikolaus-Eureka Mine was part of a minor copper boom in 1906. The ore started out rich at the surface but quickly dwindled farther down. 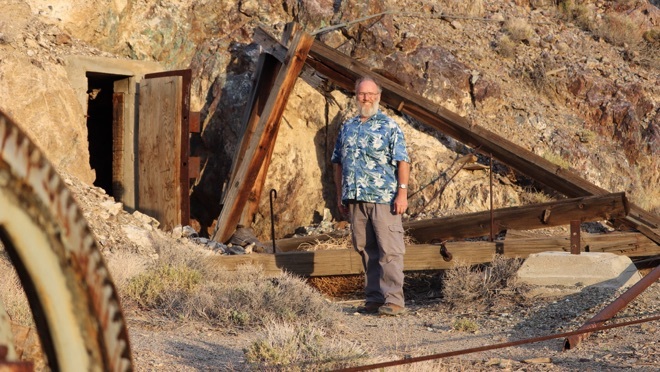 Very little remains here -- mainly a fallen headframe, collapsing mine shaft, an adit, and an old hoist. In the 1970s a smelter was built a short distance away, and was used to process low-grade ore from the mine dumps. There was a small town named Loretto in the vicinity of the mine. The ruins of several small stone cabins that were part of the town are supposed to be somewhere nearby, but I was unable to find them on this trip. Maybe next year.